Sammy is well rested and ready for this drive across the Nullarbor Plain. 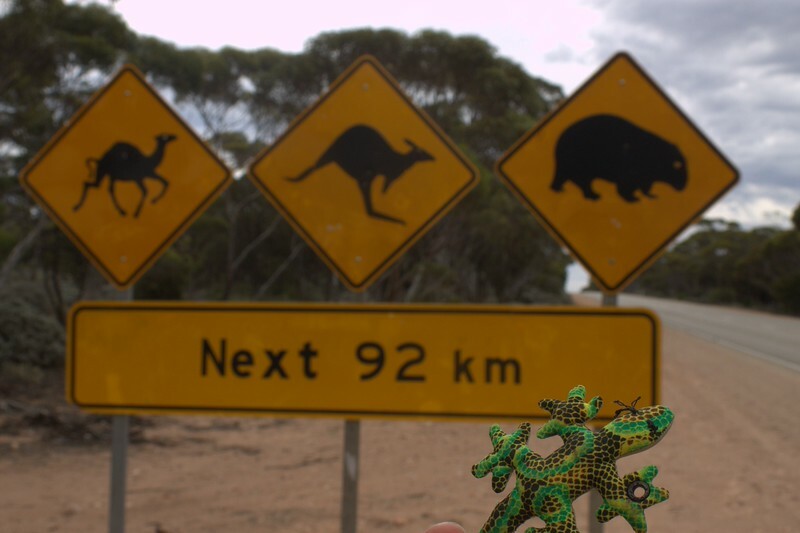 No trees, completely straight road, and the danger of camels, kangaroos, and wombats! What a strange place Australia is.